We don’t see the best of Hungary – it’s too hot! 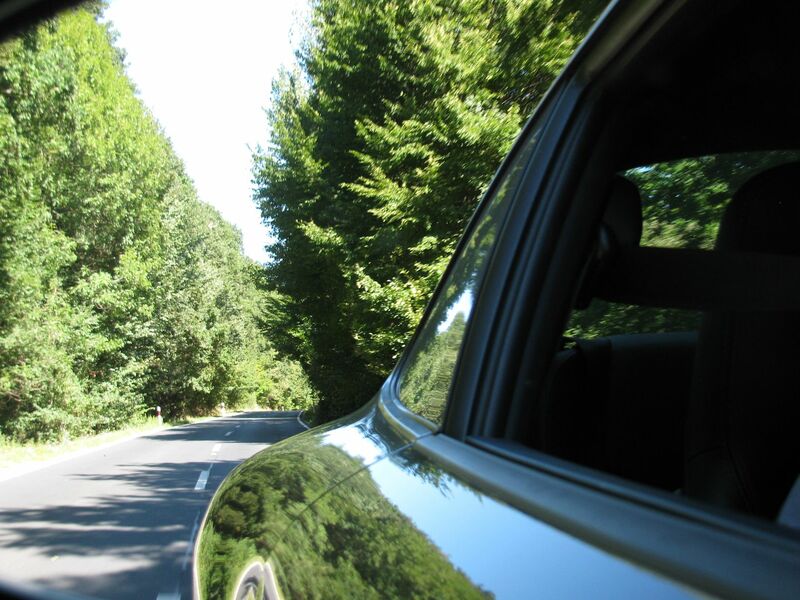 – but the drive through Slovenia is one of our best ever. 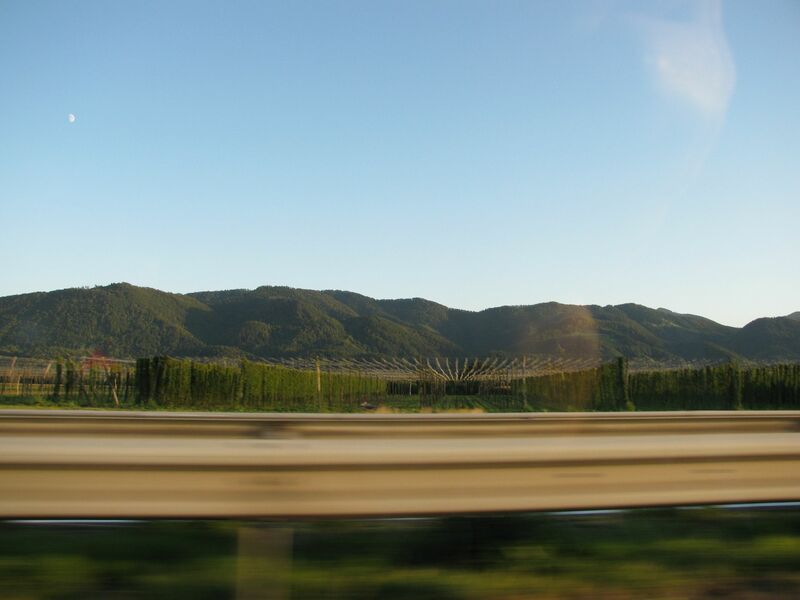 Vienna – Lake Balaton – Ljubljana – Trieste. Vienna. Surprisingly busy at 10:55 on this Tuesday morning in early September. 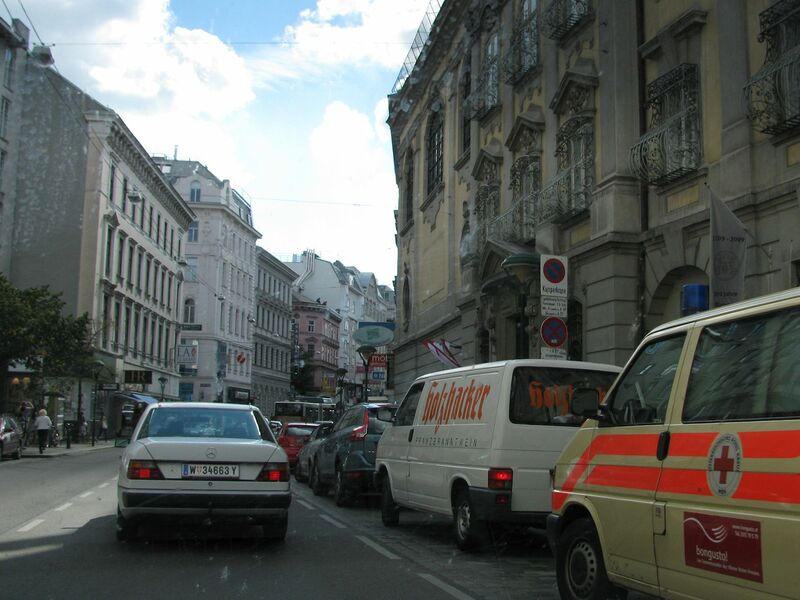 The Austrian capital is not known to be particularly congested, barely bothering the European top 20. It’s currently boasting about having cut car journeys by 25% in the past 10 years. 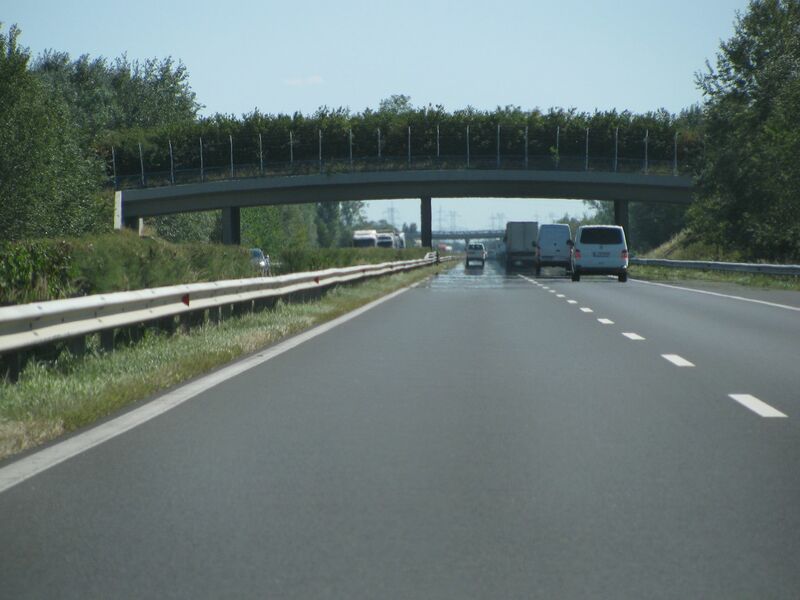 The A4 ‘Ostautobahn’ to Hungary is theoretically linked directly to Ringstrasse but thanks to the car park exit pointing in the wrong direction we have to go round the houses. Nobody however is complaining. 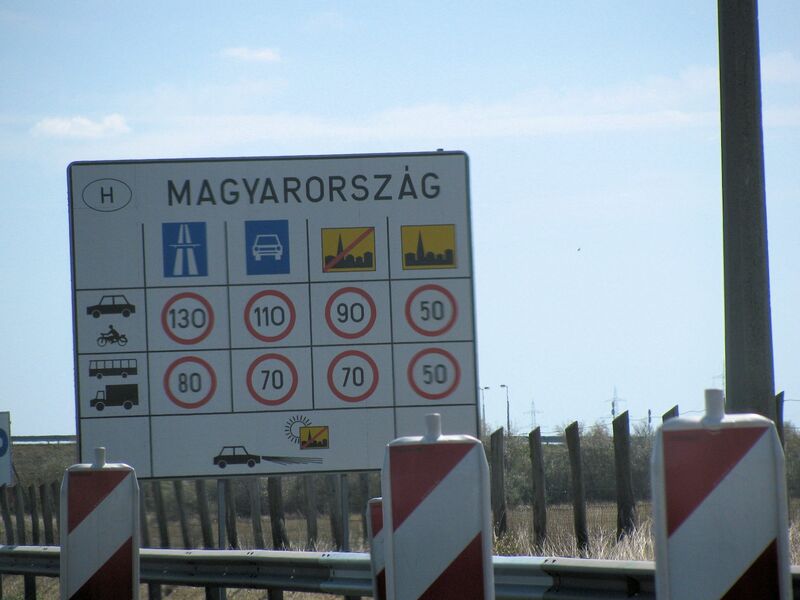 It’s not clear how Magyarorszag got anglicised to Hungary. One neat theory is that prime among the Ungri tribes – originally from the Urals – were the Megyers. Note the dipped headlights sign at the bottom (out of town only). 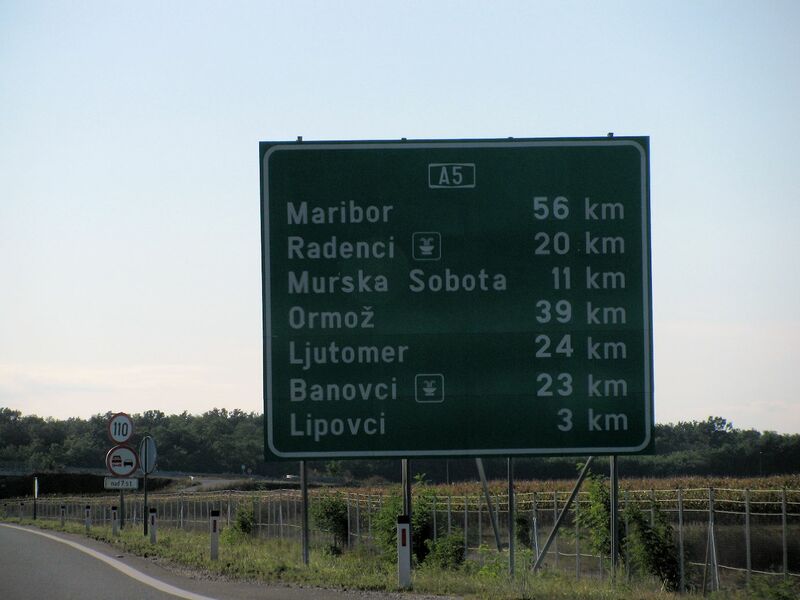 Vienna is only 75km from the Hungarian border, all motorway. Before that we stop at a service station to buy the road vignette. It freaks us out that you have to ‘apply’, via telex – along with the car registration document – and that you’re advised to keep the scrap of paper for a year (it’s an ‘e-vignette’ rather than a sticker). It costs 2,695 forints (HUF) for the minimum 10 day pass, about £8.70. 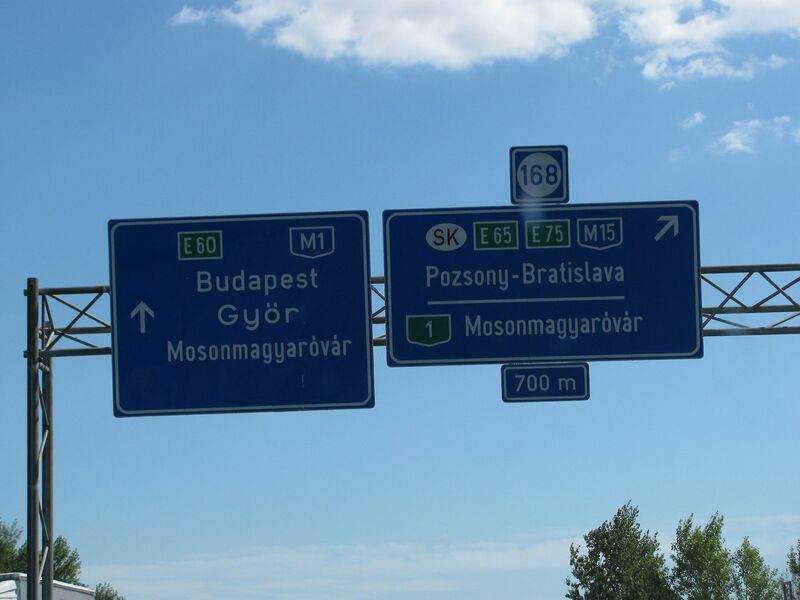 The 196km M1 links Budapest with the Austrian border via Gyor, Hungary’s sixth biggest city, pop. 131k. Where Audi builds 90% of its engines. This is an early taste of massively long Hungarian words. Watch out: places in the same area often start with the same letters. In the immediate vicinity of Mosonmagyarovar are Mosonszentjanos, Mosonszolnok, Mosonszentmiklos and Mosonudvar. Not easy to discern at 130kmh. Not the only bridge we see full of vegetation with no space for vehicles or people. Aha! Awash with EU cash they built the bridges before they had the roads to serve them. Actually the M1 was opened in the 1996. Hungary joined the EU in 2004. It’s a wildlife crossing. 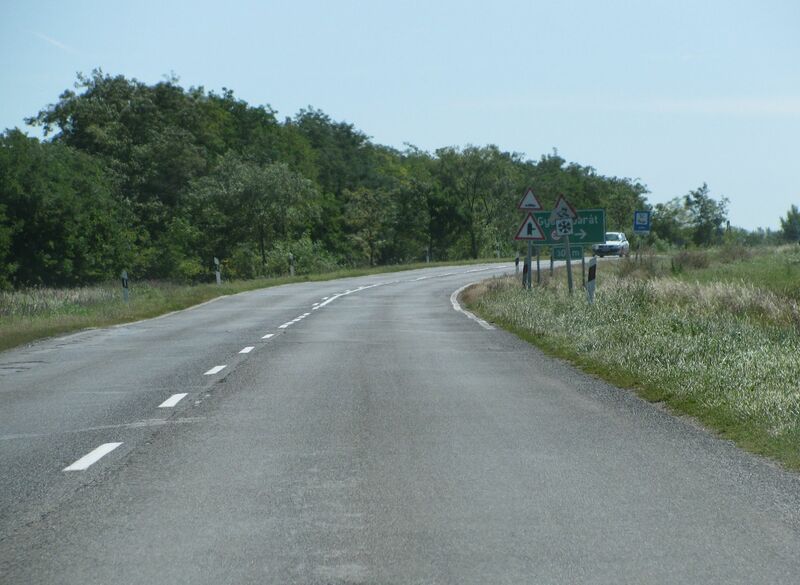 After 123km we come off onto route 82 at Gyor and head south. Initially we fear the worst because the surface is so uneven and the signs are hilariously crowded at the side of the road. Bear in mind this is the main road between a major city and Hungary’s most popular holiday region. 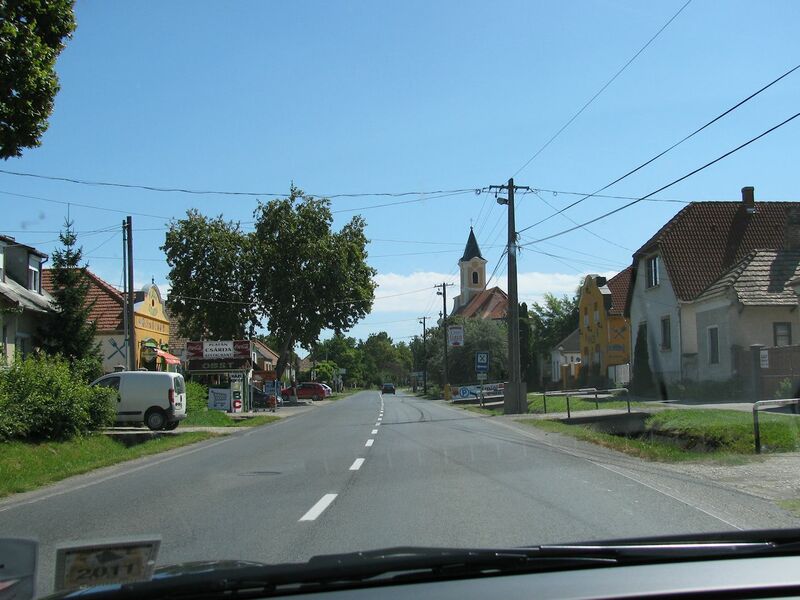 A typical Eastern European village, with trenches on each side of the road, concrete bridge driveways and a tangle of telephone/electricity wires. Pannonhalma Archabbey. World Heritage Site. Founded in 996, rebuilt 17-18th century. Confiscated by the Communists 1950-89. Totally renovated 1995. On the only hill we’ve seen so far today. Most of Hungary is less than 200m above sea level. Half is flat or rolling, and cultivated. Hungary’s highest point is Kekes, northeast of Budapest, at 1,014m. 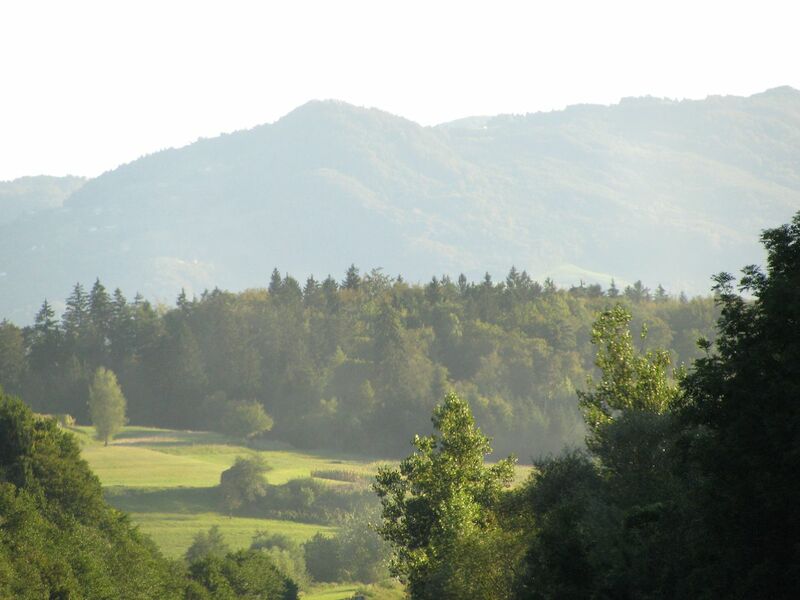 The Bakony Mountains, which lie in a thick line across the north of Lake Balaton, top out at 706m. We gently wind our way up and over, no hairpins to speak of, forest and vegetation so thick on either side of the road that there’s no view. This is more like it, a true relic of Hungary’s communist past. IFA was Industrieverband Fahrzeugbau, an umbrella brand for all vehicles made in the former East Germany. 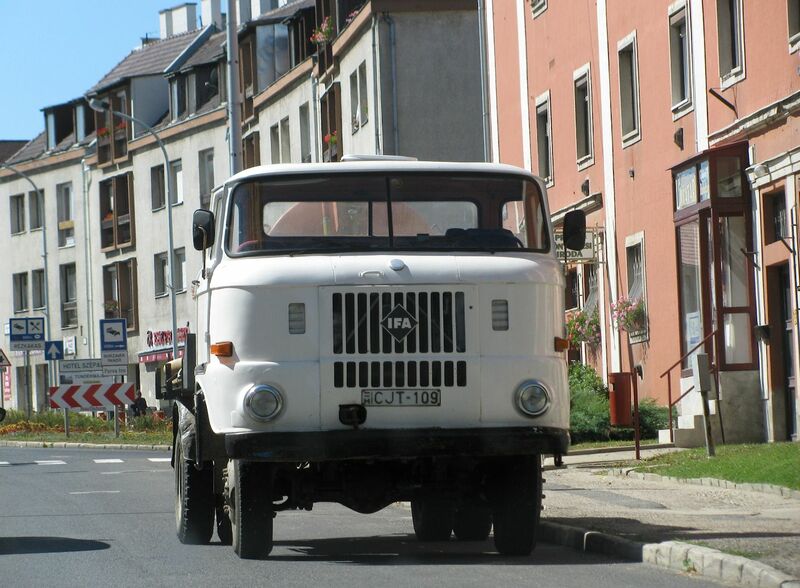 As well as Wartburgs, Trabants and EMWs, IFA made trucks like this W 50. Simple, robust and cheap – five tonnes powered by a 180bhp engine – they built nearly 600,000 between 1965 and 1990 and exported 80%. Just because it’s landlocked doesn’t mean there isn’t an impressive amount of water in Hungary. 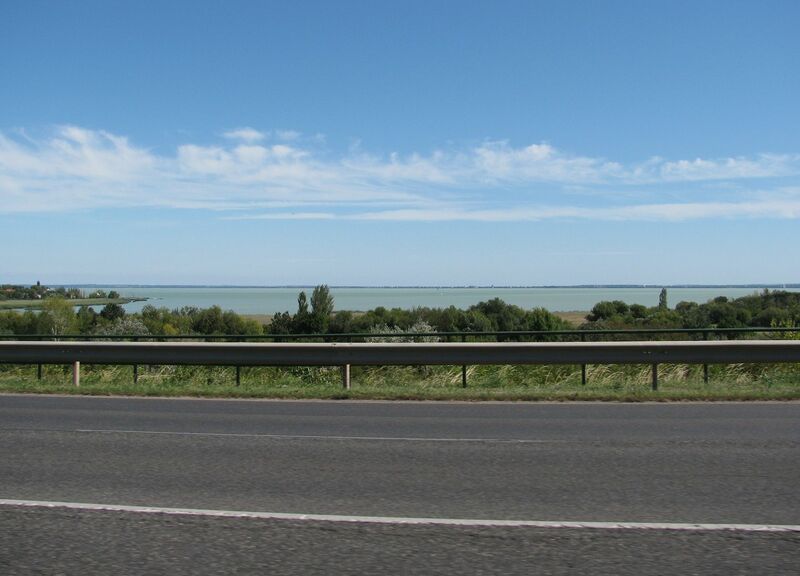 As well as the Danube cutting down the centre of the country – and the Drava which forms the southwest border with Slovenia and Croatia – there’s the massive Lake Balaton, 78km long and 14km at its widest. This is Hungarian holiday central – aka the Hungarian Sea or Riviera – dotted with late 19th century spa resorts. Our problem is that we can’t find anywhere to stop and take it all in. This north bank is an unbroken chain of campsites, restaurants, trees and/or fences. Next time we’ll check out the southern shore – there’s a motorway for a start for faster progress, just up and away from the shore – or take the road up into that hill. It’s so hot though, 37 degrees, all we want to do is dangle feet in water. Eventually we find a little marina on a side road but even then sit behind barbed wire chomping through the food we bought in Tesco’s earlier (if you didn’t know, Tesco is massive in Hungary). 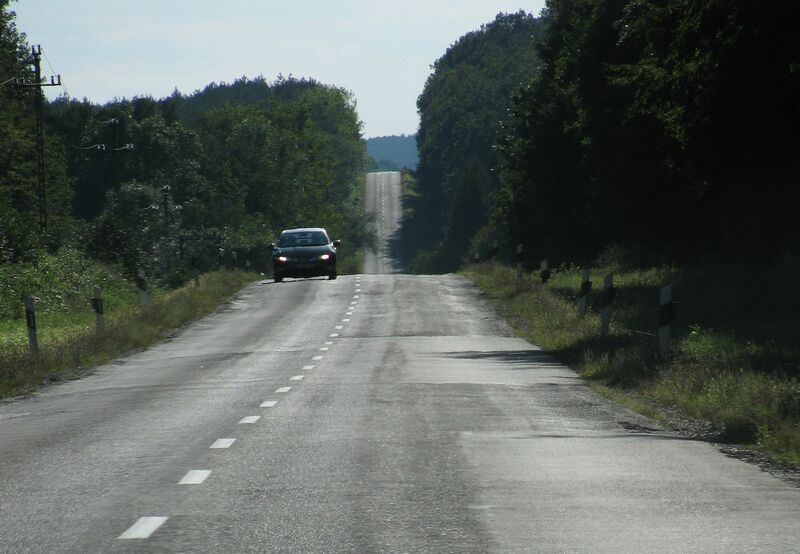 Route 77 Keszthaly to Slovenia border. 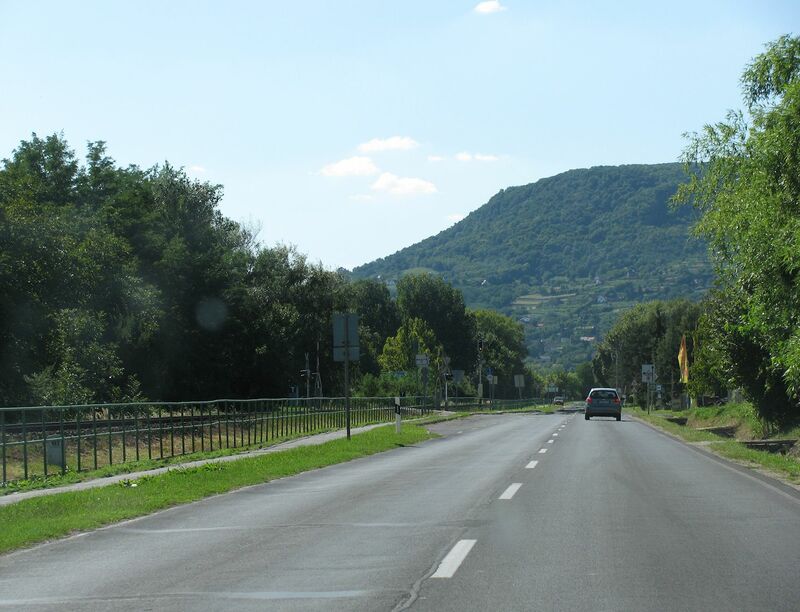 Heading south west from the corner of Balaton to the Slovenian border certainly feels more like the wild east. There are very few villages or towns but we do see our first ever block of ‘panel’ flats, built from mass produced concrete panels – hence the name – the characteristic public housing across the former Communist countries. It’s as grim, grimy and run down as we could possibly hope for. 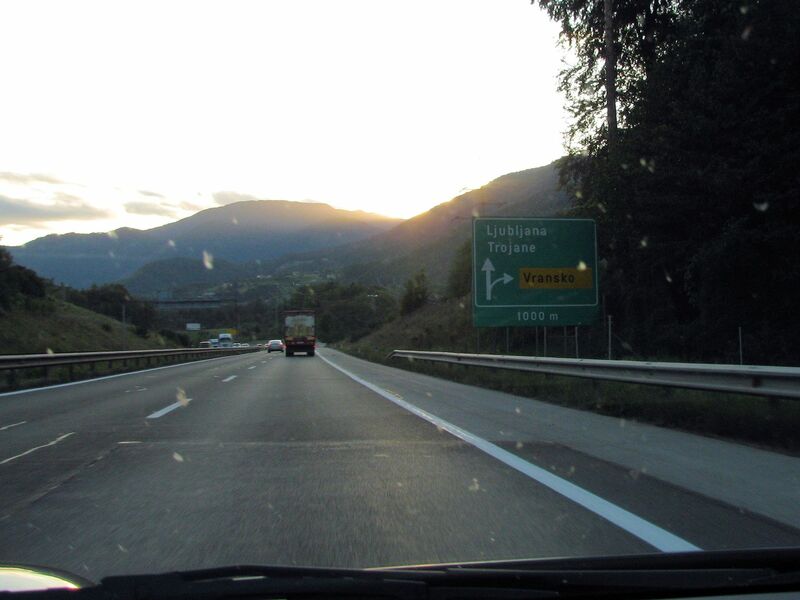 The road is more entertaining than the earlier 82, with the odd twist and turn early on, and a few opportunities to generate some lateral grip, but the latter half is basically three massive straights joined together getting progressively rollier as we near the Slovenian border. Redics. 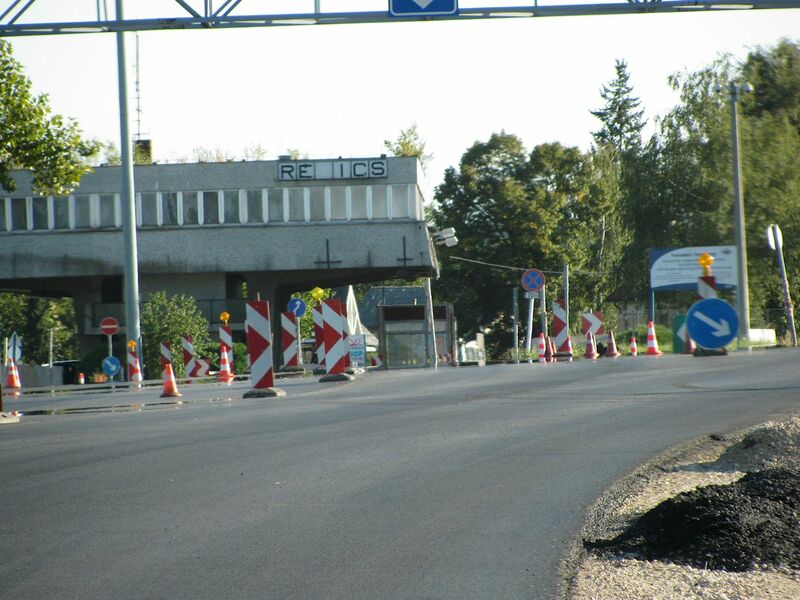 Again we have to stop at the border to buy a vignette (€15/week). Like us, the woman behind the counter speaks a tiny bit of German, the alternative language of choice in these parts. Returning to the car we find a man crouched down on the other side. You hear horror stories of people doctoring the tyres only to ‘rescue’ you out on the road, then do you over. Either we interrupted him at the crucial moment or he really was just checking out our wheels from ground level because there’s no damage. First sight Slovenia. Maribor, on the banks of the Drava, is Slovenia’s second city, pop 115k. As well as a round of the Alpine World Cup it hosts the 400 year old Zametovka, the world’s oldest living, producing grapevine. 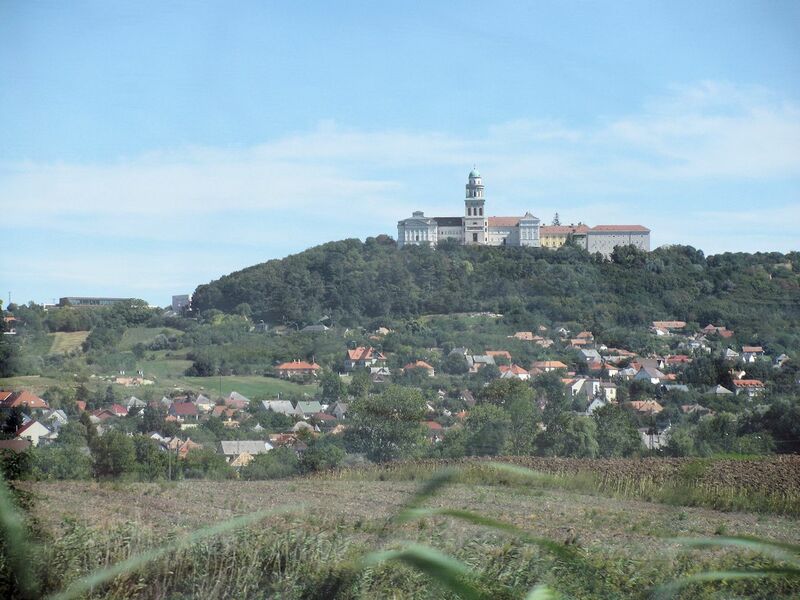 The signs beside Radenci and Banovci mark them out as Spa towns. We knew nothing about Slovenia. Beforehand we would probably have confused it with Slovakia, part of the former Czechoslovakia. In fact Slovenia was part of the former Yugoslavia, the northernmost bit bordering Austria, Italy, Croatia and Hungary. It seceded from Yugoslavia in 1991 after an almost bloodless 10 day skirmish – the first of the Balkan Wars – joined the EU in 2004 and the Euro in 2007. There are nearly 30,000 vineyards in Slovenia concentrated in this eastern half of the country. Most of the product is drunk domestically. Slovenia was always considered the prosperous, business-oriented part of Yugoslavia. Recently however it’s suffered a late onset Credit Crunch and its banks are a mess. 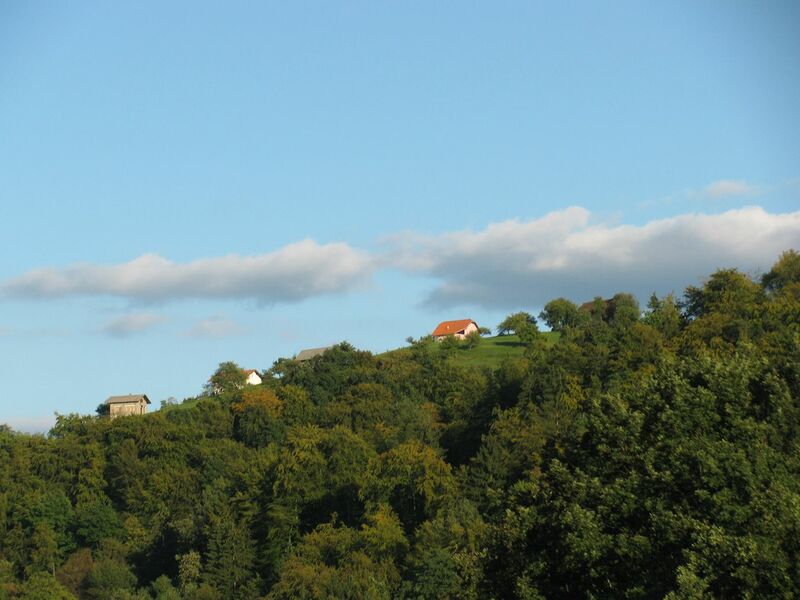 Ninety percent of Slovenia is higher than 200m. The Julian and Karawanke Alps stretch across the border with Austria in the north. The Dinaric Alps pick up in the south and west and carry on down the Adriatic/Balkan coast. With absolute confidence we can say Slovenia is stunningly beautiful because this A1 motorway we’re on goes from one end of the country to the other. It’s 300km of almost unbroken mountain views on smooth, winding, wide road with hardly any other traffic. Struggling to think of how it could possibly have been any better. The only slightly disquieting thing we see is a pig in a pig-sized cage being towed behind a smoky old VW. Note our burgeoning collection of stickers on the lower left windscreen. Along with last year’s Swiss vignette we now have them for Austria and Slovenia too. They are a bugger to get off. 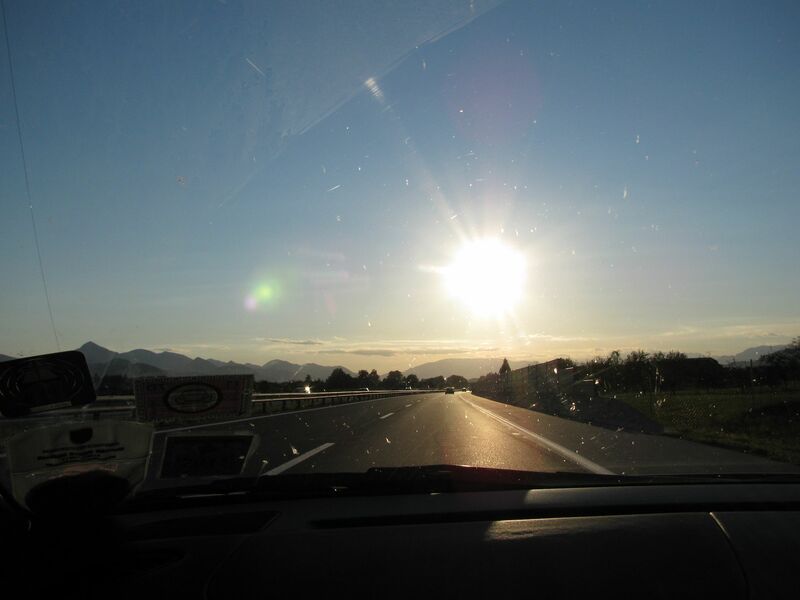 It’s dark by the time we reach Ljubljana. There are no street lights either which we think is agreeably primitive (but they’ve since turned them off where we live too). The spot lit castle looming over the city centre is the only thing to see from a distance. We cruise past the Commie concrete and glass Hotel Lev – with a big starburst casino sign on the side – but momentum/inertia carries us along. There’s a Great Western around the corner on the main street which is much easier to drive past. Soon we’re on the outskirts again, running low on fuel and wondering where to spend the night. Trieste we note is only 100km away. The young woman in the petrol station calls out just as we’re leaving to say thank you, have a safe journey. We’re so loved up with Slovenia it’s almost a tear jerking moment. Postscript. Okay, we had just about the most superficial tourist experience possible. We spoke to three people, all in retail, and breathed shamefully enormous sighs of relief as we crossed the Italian border knowing we were back in civilisation. Deep down though it settled any anxieties about stepping out of our Western European comfort zone and we’ve been back to both countries several times since. Two years later we breathed the same sigh of relief crossing the Hungarian border from Romania.